I like solitaire board games that have a lot of strategic depth, and this one does in a very small and well executed package. It has interesting decisions, and it is clever that you let the player draw the ship parts instead of relying on tokens that must be constructed. The "Debrief" section is a nice touch, as is the escalating sense of urgency of the radiation mechanic. (I'm not sure if version 0.3 was released after the competition, but I looked at it to deduce the rules. It would be great to have an explicit rule-set on a separate sheet to print on the back). Well done! Seems like a fun game to just mess around with when you are bored. Fun game, constructing and piloting my own spaceship is always a fun thing to do. And even though I often make horrible decisions that lead to crashing and burning, in the end I can still say that I was a space captain for a fleeting moment of bliss. 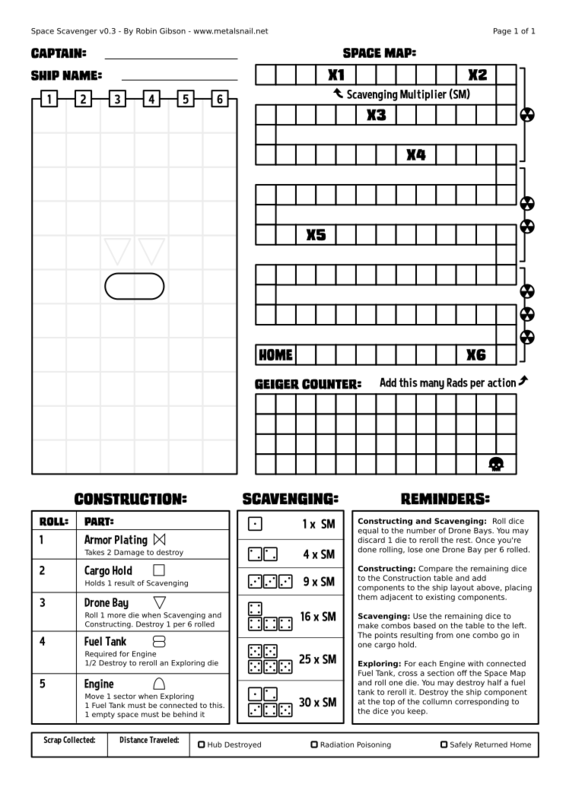 One correction you might want to make: in the rules, under 'Scavenging', you write "Try to roll the combos shown in the bottom-left, Scavenging section of the page. 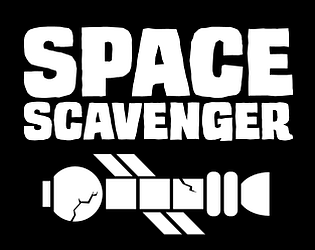 ", but the Scavenging section is actually to the bottom-right. Just a minor correction I thought you should know. Overall, this was a good game. Fun to fool around with the design of the ship and attempt to make it home in a odd-looking, abomination of a spacecraft.